Students today take up science for the job possibilities and not for its world changing prospects. How can we boost their interest? The past decade has witnessed quite some change in the education. Jobs that require routine skills have decreased, while technically centred jobs have dramatically increased. 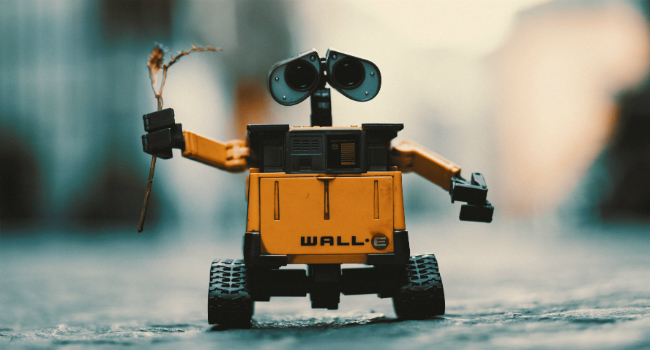 Studies speculate that routine jobs will gradually be taken up by software, or even robots, while jobs which require innovativeness or creativity are on the rise. Engineering, which sat on top in the list of priorities for science students, is no longer attractive, and the going is not too great. Nearly 3,000 students dropped out of engineering in 2014-15, a 50 per cent rise from 2011-12 when 2,100 students left their courses midway. There is a shift of interest towards the study of arts. We hear of growing dissatisfaction among recruiters with regard to the calibre of students. A study among students will definitely reveal that application of science is not really perceived wholeheartedly, but merely seen from the exam and job-availability point of view. Why do students lose interest after taking up science? When what you teach appears vague and irrelevant to their lives, many students lose interest. We also need to look into the perspective of the student, what holds his/her interest, what he/she would like to experiment with, and what kind of job they would like to take. The arduous preparations of a teacher will remain wasted if realistic demonstrations of the scope and limitations of science are not presented. These challenges can be addressed by enhancing the interaction amidst the student and the industry. 1. A text book and regular lab can never serve as the only resource. To stay connected with the practices of young people, more interactive applications should be developed. Supplementary classroom technology excites students. 2. An ideal way to kindle interest will be to establish labs with technology as desired by the industrial standards so that exciting experiments can be performed apart from the curriculum. Some of them have a natural curiosity that will help them provide solutions to real life problems. 3. To help students develop an even deeper understanding, we need to form think tanks that will enable us to create new explorative and creative opportunities to ensure that our students will be able to thrive in the many years beyond their scholarly career. 4. Increase in internships elevates the knowledge of students regarding the various opportunities inside a company and makes them passionate about a particular area. 5. Apart from this, a very trivial but important thing that most of us overlook is that English language literacy may not be the forte of many students. If we address the literacy need and encourage inquiry and hands-on approach, we would enable the student to not only enjoy science but also become proficient in English. 6. Science is the study of everyday life. To promote its profile, teachers, researchers and industrial experts should come together starting from school level, and work towards investigating, promoting and displaying the potential of young talent, which will naturally inspire young people to take it up as a career. Education plays a vital role in Science..
Before knowing the importance of education in the field of science let us have an overview of science.. Read More.. In science, technology, and mathematics: a software message indicating that something has happened,.. Read More.. Environment is the surrounding in which we live. It is a habitat that equips ourselves with the nature... Read More..
3D X-Ray for heart surgery of an infant in China..
NANJING - Doctors in east China's Jiangsu Province recently used a 3D-printed heart to plan a surgery.. Read More..